Walk-In's provide a safe and independent bathing experience. 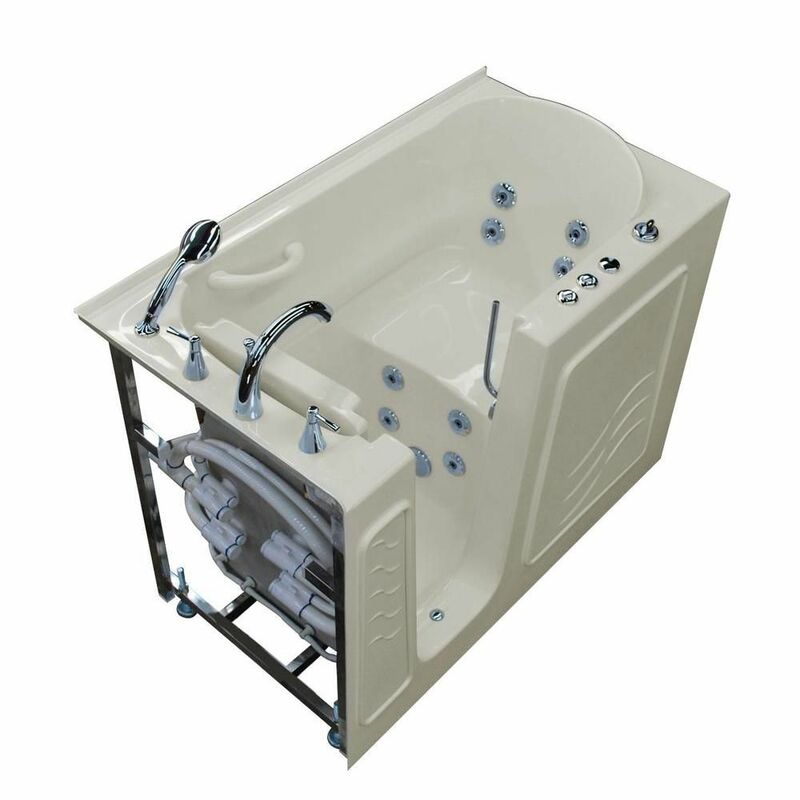 Using the latest in tub crafting techniques and industrial grade materials Walk-In Tubs offer an impressive line to meet your specific needs. Walk-In Tubs offer the satisfaction and peace of mind needed to truly enjoy a luxurious soak or a vibrant, soothing experience. Revolutionary water tight door seal. Built-in safety bar, contoured seat and Slip resistant textured flooring for added safety and stability. Door swings inward. Walk-In's provide a safe and independent bathing experience in a cost effective solution. Using the latest in tub crafting techniques and industrial grade materials Walk-In Tubs offer an impressive line to meet your specific needs. Walk-In Tubs offer the satisfaction and peace of mind needed to truly enjoy a luxurious soak. 4 ft. 5-inch Left Drain Walk-In Whirlpool Bathtub in Biscuit with Polished Chrome Trim Walk-In's provide a safe and independent bathing experience. Using the latest in tub crafting techniques and industrial grade materials Walk-In Tubs offer an impressive line to meet your specific needs. Walk-In Tubs offer the satisfaction and peace of mind needed to truly enjoy a luxurious soak or a vibrant, soothing experience.